Resource center A Look at Drug Abuse. Common Signs and Symptoms What Is Harm Reduction Therapy? Harm reduction comes from the idea that some people just aren’t going to stop abusing drugs. Since these people won’t opt for rehab, the idea is to make the abuse of those drugs safer, and in doing so, to stem the spread of various infectious diseases. Harm reduction aims to decrease the rate of adverse events stemming from substance abuse. The overall goal is to keep people safe when they engage in drug and alcohol abuse, not to prevent them from doing it altogether. Harm-reduction strategies support the idea that there are several ways to abuse drugs and alcohol, and some methods are safer than others. The obligation of keeping up with these protective alternatives rests solely on the shoulders of those individuals who engage in substance abuse. Thus, this burden is somewhat removed from the rest of society. Regardless, there are two sides to harm reduction. Some people view it as a great tactic that should be promoted and even taught to adolescents in an effort to lessen the risk of adverse outcomes like overdose. Others see harm reduction as a free pass and acceptance of substance abuse behaviors. Individuals who don’t agree with harm reductions tend to see it as an opposing force toward traditional substance abuse treatment methods. For the most part, there is a growing concern that harm reduction is sending a message of approval regarding substance abuse, even encouraging it. Still, most are in favor of such practices. According to the Harm Reduction Coalition, when it comes to needle exchange programs, 75 percent of Americans supported them in an effort to reduce the spread of HIV. Two popular methods of harm reduction actually fall right in line with substance abuse treatment. Both methadone and buprenorphine are essentially medicated harm-reduction strategies in action. Buprenorphine has had varied reports of success with the highest known rates reaching 88 percent, per The Fix.Methadone maintenance programs appear to be just as effective, boasting 60-90 percent success rates, the California Society of Addiction Medicine reports. For most people who stay enrolled in these treatment plans, they work, provided they also include therapy. Some treatment programs even go so far as to supply clients with pharmaceutical heroin in a similar manner as an opioid replacement drug would be given. All of these processes are viewed by opponents of harm reduction as being no better than allowing the initial drug abuse to continue. They argue that these treatment medications are nothing more than supplements for the illicit substance. Furthermore, many are angry that opioid replacement drugs come at a cost to society. Over $484 billion is spent on drug and alcohol abuse nationwide each year, the National Institute on Drug Abuse notes. Naloxone continues to be approved by states across the nation as a treatment for individuals who overdose on opioid drugs like heroin and painkillers. The opioid antagonist drug reverses the effects of overdose by removing drug molecules that are attached to opioid receptors in the brain. Many people question the validity of this drug and whether its repeated use sends a message to those who abuse drugs that society is making it safer for them to do so. As such, these individuals don’t feel pressure to stop the drug abuse. Efforts have been made to decrease the adverse effects of marijuana use while still allowing for its use. There seems to be a growing acceptance of marijuana use worldwide, and the United States is no longer an exception. The plant-based drug is now legal for medicinal use in 23 states plus the District of Columbia and for recreational use in four states, per CNN. Harm-reduction strategies for marijuana use include deterring people from driving while under the influence and the ingestion of safer forms of the drug, which cause less damage to one’s health than smoking, such as using edibles or vaporizers. Safe injection sites are a newer addition to the harm-reduction culture, and they have received a lot of backlash. These facilities provide a place for injection drug users to come and inject their dose with supervision to cut down on the number of overdoses and adverse effects. A Canadian Medical Association Journal publication noted a 70 percent reduced incidence of needle-sharing among individuals who made use of safe injection sites. There is a growing opinion from opponents of these facilities that they protect people who abuse drugs from legal recourse. The origins of harm-reductions strategies stem from concerns regarding the spread of HIV and other infectious diseases by injection drug users. This trend peaked in 1980s when worries over contracting HIV were at their highest. The spread of this virus has indeed decreased greatly over the years. According to the Centers for Disease Control and Prevention, just 3,900 – or 8 percent – of the 47,500 cases of HIV infection in the United States in 2010 were attributed to injection drug use practices. Comparatively, 73,380 people were infected in 1995 and 19,261 – 26 percent – of them were injecting drugs, per the CDC. Similar concerns have presented over the hepatitis C Virus. People who inject drugs like heroin or cocaine are more likely to contract these infectious diseases without harm-reduction practice in place. The rate of HCV transmission is growing among young people more than any other age demographic. When it comes to alcoholism, harm reduction focuses on controlled drinking practices. While 12-Step programs, medical detox, and comprehensive therapy are the foundations of effective treatment, harm reduction has been shown to fill the gap for some people who aren’t ready to get help. Harm-reduction strategies for drinking aren’t based on controlled ingestion alone. Encouraging safe drinking practices is a big part of it. While binge drinking is never recommended, if people do choose to binge drink, they should never get behind the wheel of a car after doing so. In 2010, 13,365 people died as a result of highway vehicle accidents where alcohol was a contributing factor, per the Bureau of Transportation Statistics. Programs like Moderation Management have been chastised for encouraging people with drinking problems to keep on drinking, giving them false hope of being able to do so while keeping their lives under control. However, not all heavy drinkers struggle with alcoholism. While around 29 percent of Americans drink excessively, only 10 percent fit the criteria for a diagnosis of alcoholism, per The New York Times. Harm-reduction programs may have a place in society, helping to reduce the spread of disease related to drug use and to lessen the ill effects of substance abuse. 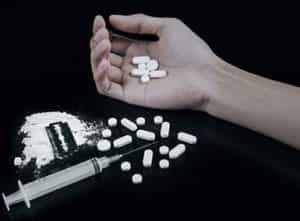 The best option, however, for anyone struggling with substance abuse or addiction is comprehensive treatment that can fully mitigate all issues related to such abuse.